Just putting out this question to you guys. I was at a customer trying to update IBM Connections from 3.0.1 to 3.0.1.1. Downloaded and installed the newest updateinstaller did not help either. So after going through the updateWizard.bat script in notepad, I noticed that there´s a check for the "processor_architecture" Windows system variable"x86" that sets the classpath which embeds the 32 bits jar files, and an "else" that embeds the 64 bits jar files. The system variable for this machine is "AMD64", which means that the updateWizard.bat script should launch the 64 bits jar files. But they are not working. Which basically means that I now load the 32 bits jar files for all other processor_architectures that are not equal to "x86". The update installer then launched without issues. Can anyone, who knows hardware, tell me why AMD64 is shown as the "processor_architecture" in DOS? Robert it seems that as soon you have a 64 bit windows this will show as AMD64. 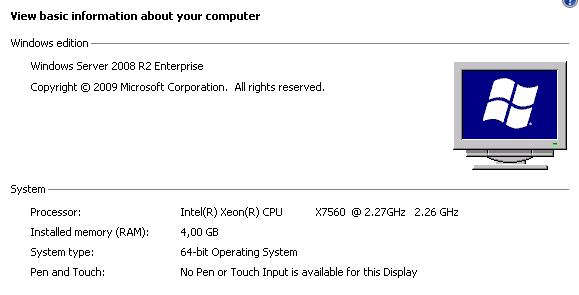 Decision by one of the MS devs to report 32 bit windows as x86 and 64 bit windows as AMD64. Then IBM Connections should create a "fix" for this, if they haven´t already done so.